Buying a crossbow is one thing. Understanding how to use it is another. There are several factors that will determine the success you experience on a real hunt out in the field. One of the most misunderstood factors is kinetic energy. Kinetic energy relies on the grain of the arrows and the speed of the crossbow. They work together to determine the energy that the arrow emits when it leaves the crossbow and heads for its target. 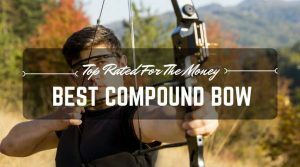 Once you have determined the grain of the arrows you plan to use and the speed of the crossbow, you can use a calculator to determine the kinetic energy, which is represented in total foot-pounds. In order to determine the foot pounds of kinetic energy, it is best to use arrows that have the same grain measurement. 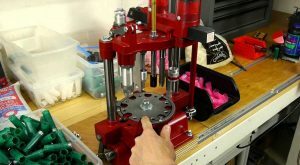 When crossbow manufacturers are measuring their own crossbows, they usually use 400 grain arrows. Crossbows often have a feet per second rating of 200 to 400. Arrows will exit the crossbow at an arc that eventually causes the arrows to drop. The arc and drop will be affected by weather conditions, too. 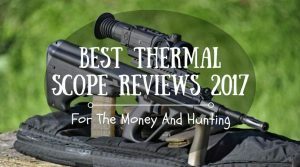 Most kinetic energy charts are drafted in the closed conditions of indoor ranges, so they are usually just estimates for what you will really get in the field. 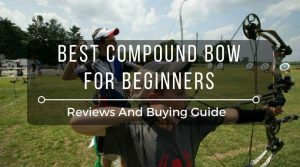 Depending on the bow you use and the arrows you use, your kinetic energy could range from 30 foot pounds at 30 yards to almost 125 foot pounds at 30 yards. These numbers are dependent on the FPS of the crossbow. The higher the FPS, the higher the kinetic energy will be. As the arrow moves through space, the kinetic energy drops. So, the closer you can get to your target, the more kinetic energy your arrow will have. The grain of the arrow will also affect the kinetic energy. The lighter arrows will have higher speeds, especially when they exit the crossbow. Keeping in mind that the kinetic energy drops as the arrow flies, the speed will decrease as the arrow gets closer to the target. As the grain increases by 25 grain, you can expect about 2 percentage points in loss of speed. For example, the exit speed of a 450 grain arrow is approximately 94%, but a 475 grain arrow has an exit speed of approximately 92%. If you want an arrow to exit the crossbow quickly and powerfully, it is wise to choose a light arrow. When it comes to actually hunting for game, the required kinetic energy is much less than most people anticipate. For example, if you use your crossbow to hunt for deer, you only need between 25 and 40 foot pounds to take one down. The larger number is recommended, but the lesser number will work on a smaller deer. To hunt for large game like a grizzly bear, you need between 65 and 75 foot pounds of power. 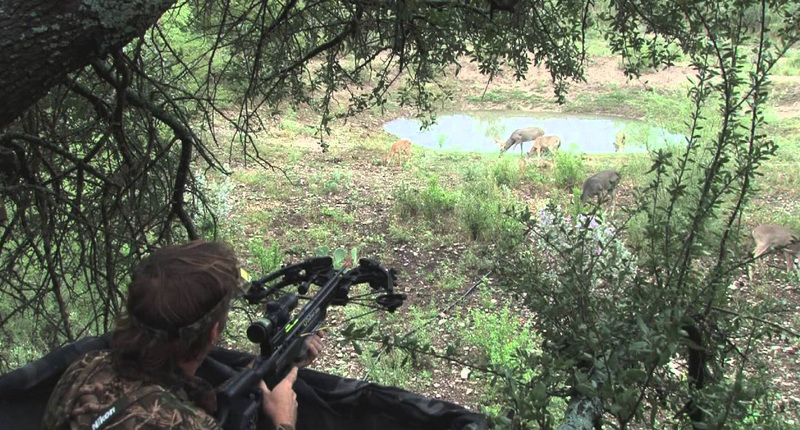 As expected, you should use a powerful crossbow and a heavier arrow to take care of large game. Fortunately, since kinetic energy relies on physics, the numbers the formulas provide are accurate. In most cases, arrows’ kinetic energy drops every 10 yards. You can expect the number to fall about 4% as it crosses every 10 yard expanse. With weather, like wind and rain, the percentage will increase. 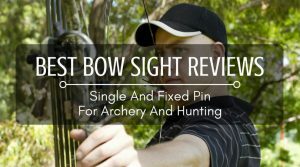 Since the percentage increases once you shoot past 50 yards, it is in your best interest to get close enough to get a winning shot. When it comes to feet per second, there is a big difference between crossbows. A crossbow with a 250 FPS rating will shoot much slower than one that is rated at 300 FPS. With a higher FPS, you get more kinetic energy at farther distances. In many cases, the kinetic energy at 30 yards is significantly higher in the higher rated crossbow than at 10 yards in the lower rated crossbow. 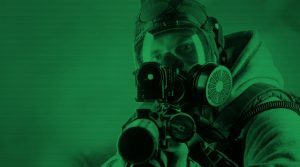 Imagine what that looks like when you are out in the field. 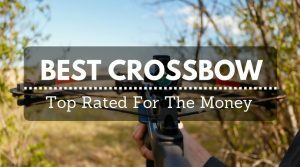 When it comes to choosing a crossbow, be sure that the FPS rating is appropriate for actual hunting in the field. 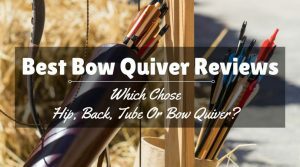 When it comes to kinetic energy, it is best to choose a crossbow that has at least 300 FPS, especially if you are going to hunt for medium to large game at 30 yards or more. If you plan to hunt for small to medium sized game, then a crossbow with a rating of 250 FPS should be substantial.